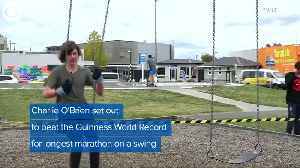 New Zealand teenager Amelia Kerr sets a new world batting record in women's one-day cricket with her unbeaten 232 against Ireland. 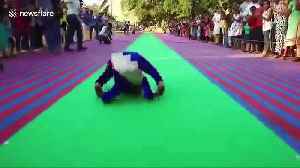 A girl from southern India broke two world records for performing forward rolls in a contorted yoga position in an amazing display of flexibility and skill. The event took place on February 23 in.. 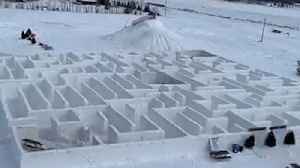 This huge snow maze just set a world record.